This encounter that happened early on in my teaching career helped shape the way I teach! My principal passed me in the front office and said good morning. It was a few days before winter break and he asked me how my class was doing. I laughed and said, "I'm just trying to keep them off of the ceilings!" He laughed back and said, "Mrs. Smith, let 'em be on the ceilings!" I remember thinking that he was right. Kids can't help the excitement they feel this time of year. They are so excited for the holidays and spending time with their families, they just can't help all the extra energy they have. Don't try to fight it! 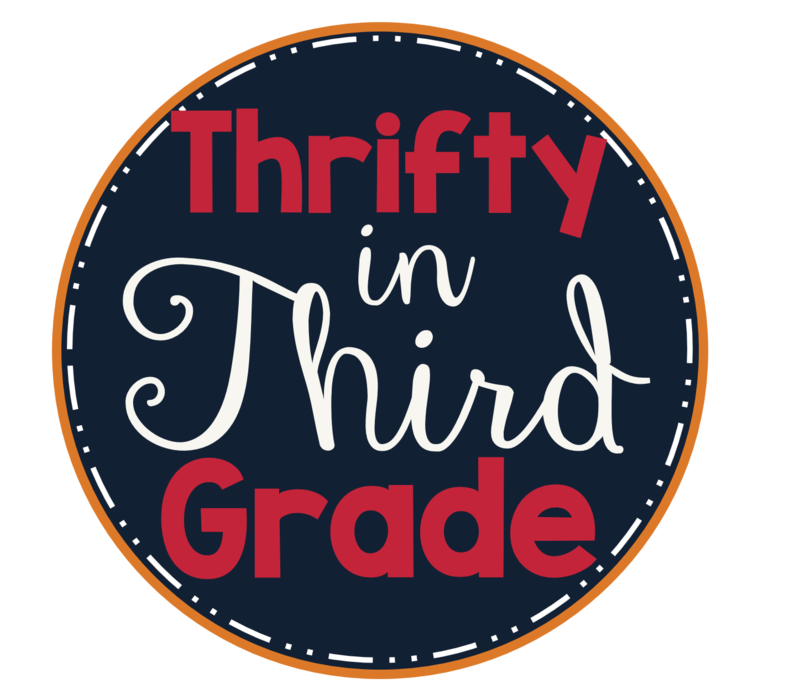 Your students ARE going to have extra energy and excitement this time of year. Every commercial on T.V. reminds them of the upcoming holidays and break. There are decorations, cookies, carols, and so much more happening in their little worlds. Instead of trying to get them to simmer down, realize they have all of this extra joy inside them! Get them moving! Give them plenty of opportunities to talk! When you think about teaching in December, imagine a rip current. Lifeguards tell you to swim with the current, instead of trying to go back to shore and swimming against it. If you swim with the current, it will eventually bring you back to the beach. The same goes with teaching! Don't fight their extra energy and excitement. Find a way to harness and use it to your advantage! Find ways to incorporate their excitement into your content area! 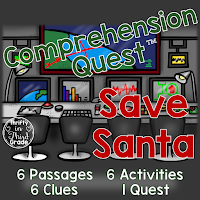 I created this Save Santa Comprehension Quest to teach my students how Christmas is celebrated around the world. The passages are interesting and the quest is exciting. However, it still sticks to the standards! Win-win-win! Find ways you can tie the excitement into your standards. I love to find hands on ways to get my students learning! 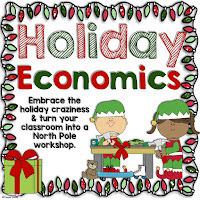 I developed this Holiday Economics unit to teach Social Studies concepts and get my students doing something hands on. Students get to learn about wants/needs, goods and services, supply and demand, producers and consumers, taxes and so much more. As they participate in this North Pole workshop, they are learning firsthand what these concepts mean and how they apply to real life! There are plenty of ways you can get your students learning in a hands on way! You can bring in holiday candy to be your manipulatives in math. You can wrap a story book in wrapping paper and have a student get to unwrap it before you read it that day. Another fun idea is to wrap many books in wrapping paper and write a description of the book on a card. Students will choose their books based on the description. (Then they will unwrap and read!) It's a great way to remind students not to judge books by their covers. Not everyone celebrates Christmas. Use the opportunity to teach students about other holidays that are celebrated, especially those in your school community! This time of year is a great time to teach your students about compassion. You likely did some type of lesson near Thanksgiving where students talked or wrote about what they are most thankful for. 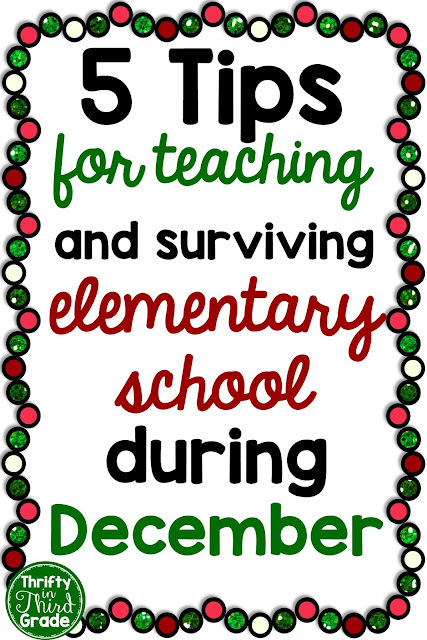 Include those same concepts and topics in your discussions in December. Find a way to do something for someone else--as a class! Brainstorm different ways you can make some else happy! Maybe you can do a Secret Santa with your class by leaving a gift outside another classroom (bag of candy or cards or a small gift). Maybe you can have your class make ornaments or cards for a nearby nursing home. Another great gift would be to go on a field trip to one and read to senior citizens. Students love to see YOU happy. I always try to have a positive and uplifting relationship with my students. I give them glimpses into my life every now and then and tell them about my family or even what I did over the weekend. As the holidays approach, I might mention how I prepare for it with my family. I let students know I am excited for the holiday break too! If your school is doing a musical for the holidays, ask your music teacher for a copy of the songs your students are going to be singing, and then practice during transitions in your classroom! The music teacher probably only gets a certain amount of time per week with your class, and would probably appreciate them getting the extra practice! I hope these tips help you make it through the fun, crazy, and silly month of December!